Dairy has been getting a lot of negative press lately, especially due to the increase of plant- based diets. 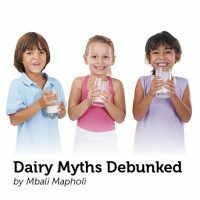 There may be some truth to that particularly ethical and environmental related factors but some of the claims surrounding dairy are not true. Diary is also great for muscle recovery and hydration after exercise, and some types of fermented dairy (like kefir and live yoghurt) contain probiotics which are great for our gut health. According to different investigations the consumption of milk does not seem to increase the symptoms of asthma and a relationship between milk consumption and the occurrence of asthma cannot be established. Natural yoghurt usually contains 5-9g of sugar per 100ml, which falls into the ‘medium sugar’ category. Flavored yoghurts are the ones that have a lot of free sugar added to it, it is often a good idea to either read the label to choose lower sugar options (less than 5g per 100ml of added sugar) , or to go for natural yoghurt and add your own fruit for sweetness. Claims related to improved nutrition, prevention of lactose intolerance, or provision of “good” bacteria from the consumption of raw milk have no scientific basis and are myths. There are some epidemiological data that indicate that children growing up in a farming environment are associated with a decreased risk of allergy and asthma; a variety of environmental factors may be involved and there is no direct evidence that raw milk consumption is involved in any “protective” effect. Diet may not play a role in acne risk for everybody, as this is influenced by a number of factors including our genetics and hormones.